When I invented GRT in December, it was inevitable that there would have to be a Half-GRT some sunny day. Well that day is today, although it was far from sunny. More like slushy. Poking all that slush with my new Black Diamond Ultra Distance sticks. 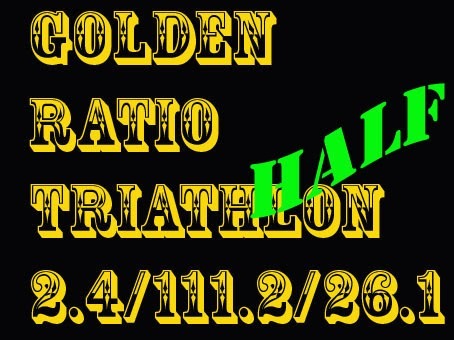 As you may know, GRT is defined as the golden ratio of the ironman triathlon distance. Half-GRT is then simply 50% of a full GRT. That's merely a 1.2km swim, 55.6km bike and 13.0km run. Easy peasy! Where did that sunny spring weather suddenly go? The indoor swim and bike legs flew by almost too smoothly. So I tried to make the outdoor run more challenging by navigating between some random geocaches in a previously unknown forest as directly as possible, turning only where it was absolutely necessary. That crazy idea worked pretty well! 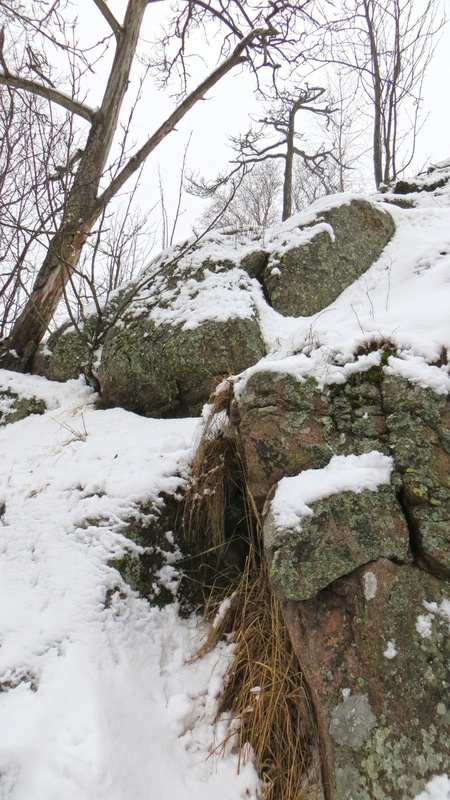 I had fun climbing on all fours, getting wet in ice-cold water and fighting my way through thick bushes. I used Garmin Forerunner for measuring time/distance and Suunto Ambit for GPS navigation between preloaded waypoints. An interesting shortcut, as suggested by my trusty Suunto Ambit. Long story short, this 69.8km self-organised unsupported solo triathlon took me 7h35min (including all breaks and transitions). In other words, incredibly slow. But it was worth every second. Half the distance, double the fun! Climbing this required both hands, so the poles went into the backpack.